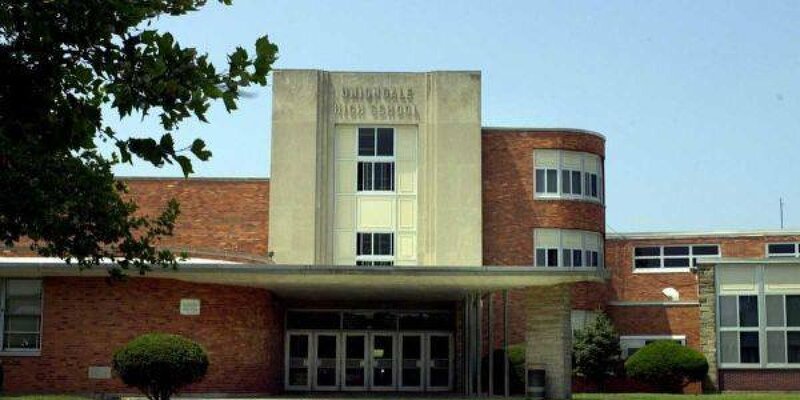 The Uniondale school district has scheduled a March 15 vote on a $158 million borrowing plan after residents rejected a $199 million bond issue in December. District officials said new classrooms, as well as infrastructure and technology upgrades, are needed to deal with surging enrollment and cramped quarters in the system, which has more than 7,200 students. Over the past five years, enrollment has grown by 940 students, the district has said, and another 700-plus are projected over the next decade. Voters on Dec. 7 refused to authorize the larger bond issue, which would have had a 20-year term, by a tally of 1,041-830. Under the new proposal, 112 classrooms would be added - 19 fewer than originally planned. In addition, the slimmed-down bond issue would limit the installation of air conditioning to new construction and common spaces and scale back on new gymnasiums and turf fields. Use of basement space for classrooms and portable classrooms would be eliminated, the district said. Currently, 12 basement classrooms and 10 portable structures are in use. If the bond issue wins authorization, taxpayers would pay $23.11 a month for the average home assessed at $350,000, school officials said. Under the $199 million bond issue that was rejected, that estimate was $26.30 per month. Superintendent William K. Lloyd, in a statement, said that the December defeat gave administrators "additional context" to "develop a new plan that we feel would more effectively satisfy the evolving needs of our community, while still meeting our district's overarching infrastructure and spatial needs."